A unique and innovative system. – To extract the colouring matter (anthocyanins) with a copigmenting effect and thus increase the intensity of the wine’s colour. – To extract the noble tannins that guarantee the stability of its colour over time. – To destroy all enzymatic activity, which is extremely useful in the processing of mouldy grapes. 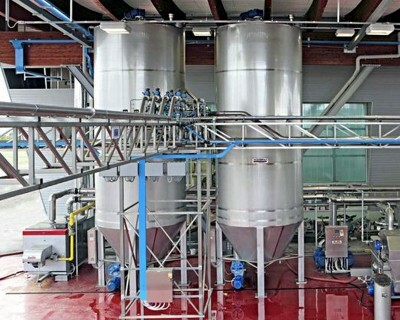 – To reduce the need to use fermenting agents for vinification in the liquid phase. – Maximum respect for the product, which preserves all its particular features. – Genuinely limited operating costs. 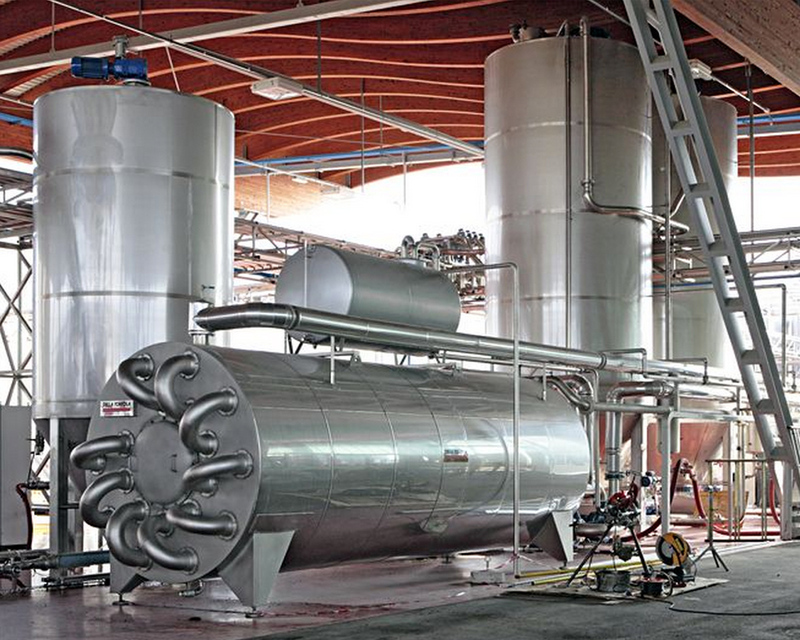 The BioThermo system represents a new, fundamental tool for the enologist, because the rapid heating of the crushed grapes weakens the structure of the grape skins, expanding the vacuoles and ensuring a consequently rapid and effective extraction of the colouring substances required. After steeping for only 45 minutes, vinification can proceed without the skins in normal tanks, with no need for complex machinery. This is enabled by the fact that the colouring compounds in the must have already been perfectly stabilised. 2. An instantaneous expansion of the grapes under a forced vacuum. – It makes use of high temperatures to inhibit harmful enzymes (polyphenoloxidases, laccases). – Anthocyanins, responsible for colour. – Tannins, responsible for structure. – Volatile compounds: aromas and their precursors. 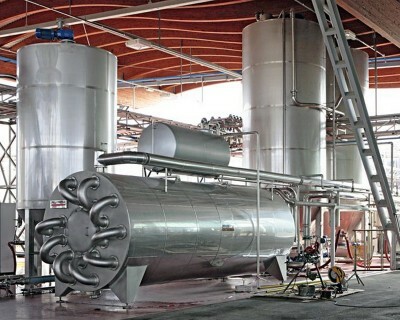 – The crushed grapes are cooled immediately, which allows for a prompt pressing with membrane machines. This procedure also enables the user to make the best of the fermentation tanks, by considerably reducing the steeping times.